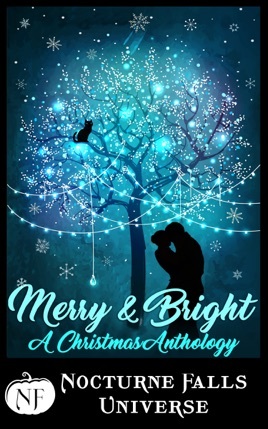 This Nocturne Falls Universe Christmas anthology contains nine stories of holiday goodness. Draeken and Stella Phoenix are celebrating Christmas in Nocturne Falls with a festive holiday party in their new vacation home. Each has a big surprise for the other, but all’s fair in love and secret Christmas presents. Right? Sent on a holiday gift giving mission, Kearney Maclachlan, wizard and royal bodyguard, reluctantly returns to Nocturne Falls where a fateful encounter with intuitive street artist Kaia Wyntir takes them on a journey to reclaim past memories and truths that may finally melt a warrior’s frozen heart. Unexpected miracles lead to everlasting love, all thanks to a kiss under the mistletoe. Firestorm dragon Zareh is a Christmas virgin, but that doesn’t stop him from doing his best to conjure up the perfect holiday celebration for his beloved lifemate, Kaylae. The fact she’s keeping something from him is tearing him apart. Their ancient enemies could strike at any time, bringing with them menace and mayhem. But that’s a tangible enemy. Can their love overcome some unexpected Christmas mayhem of the personal kind? 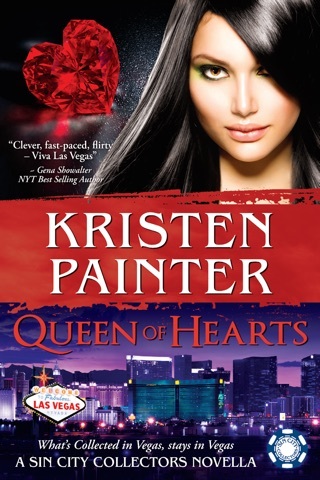 Psychic hairdresser Amethyst Powers wants to keep the peace in her quarrelsome family, even if that means dating the wealthy vampire who could help her father’s fledgling business. She’ll get over the great guy she really likes. Superhuman mechanic, Dustin can’t believe his luck. When the purple-haired siren who broke up with him gets stuck, he helps her out. They share an intimate dinner, and one amazing kiss. But is she willing to buck her family’s wishes in the name of love? Sometimes all it takes is one part mistletoe and one part luck. Cousins Brianna Putnam and Jess Callahan are headed to the altar to wed the handsome falcon-shifter Ford brothers. But when the brides' plans run amok, even their psychic powers can’t undo the chaos. The entire town pitches in to help, but will it be enough to pull off their Christmas dream weddings? Fairy Merri Larousse never intended to become one half of a famous prankster/matchmaking duo with winter elf Polaris Brighton. Little did they know, the best match they would make would be their own! 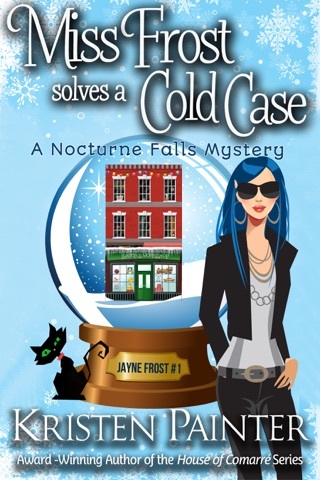 Tami Bennett came to Nocturne Falls to help her best friend, Lidia. It was supposed to be temporary – until she laid eyes on Jack Cross, sorcerer. As much as she wants to deny it, she’s falling for him. 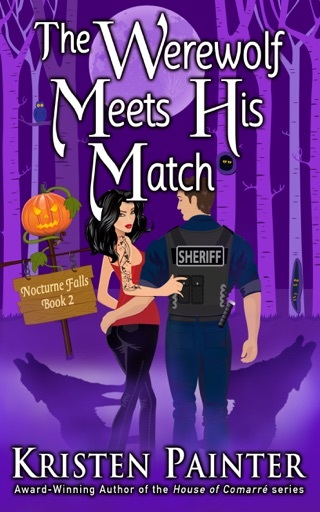 When Lidia’s werewolf fiancé is in trouble, Tami asks for Jack’s help. She knows that if he succeeds, she could lose her only excuse to stay – and lose the one man who has come close to stealing her heart. 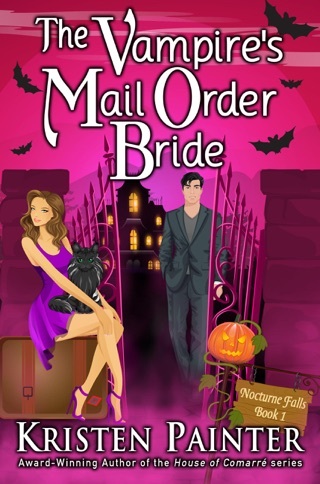 When a letter is delivered by mistake to clairvoyant witch Telia Kraft, she must return it to its rightful recipient, a handsome vampire neighbor, the very guy she had dated over the summer until he dropped her without a word. 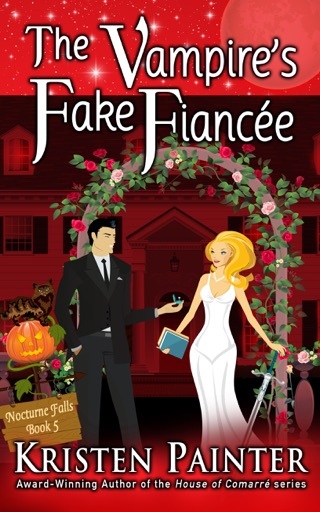 Jake Newburg is shocked to learn of his brother’s upcoming Christmas wedding in Nocturne Falls and rashly asks Telia to accompany him to the event. For once, he needs to stop second-guessing himself. Lonely werewolf Dima Samarin looks forward to watching his favorite winter elf every morning at the Hallowed Bean. He rescues her unfinished novel from the perils of spilled cocoa, and becomes her hero. Elin Bergstrom’s day job is at Santa’s Workshop, but she secretly writes sci-fi novels on the side. She accepts Dima’s invitation to the Christmas Ball, but when their date gets derailed by a drug deal gone bad, this elf isn’t about to stay on her shelf. Sometimes a werewolf can use a little helpful frost magic to win the day, and save their date. An excellent selection of stories! I enjoyed each and everyone as the characters were well developed and the stories had a bit of mystery, lots of romance and some humor. I highly recommend this book! Overall, this was a the most delightful read. It gives you that warm fuzzy feeling of Christmas cheer. It was nice revisiting some of the characters in the stories we have all grown to love. Of course, if you haven’t read any of them don’t worry, you can still read these as a stand alone. My favorite was The Psychics Say I Do By Candace Colt. I loved seeing all these characters again. I do have to admit the two brides sort of got on my nerves some but not too bad. Mainly Brianna. It was nice to see the grandmother. She is so funny. I want her to get her own book. And who could forget the giant cat Crealde.